Solar Film | Thermal Efficiency | Mechoshade - Window Products Management Inc. 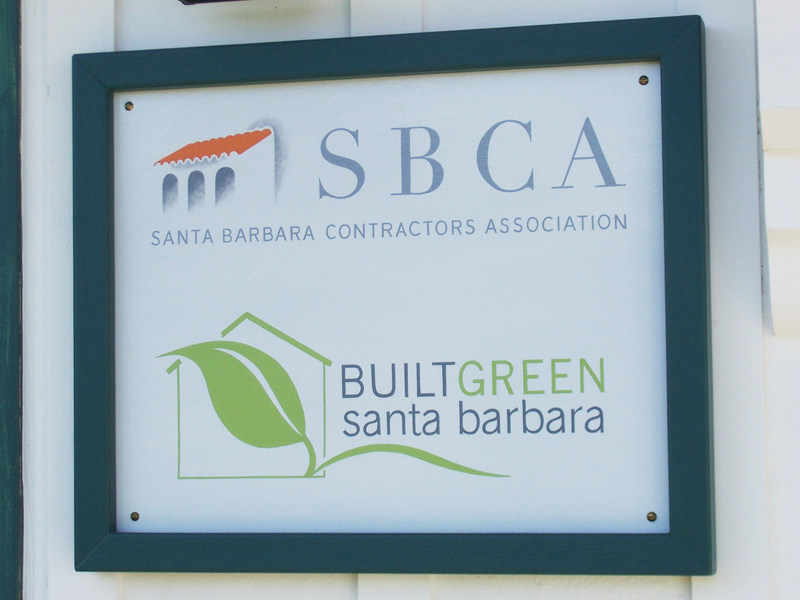 The Santa Barbara Contractors Association (SBCA) selected Window Products Management to design and install automated roller shades and automated skylight shades for their new headquarters in downtown Santa Barbara, California. Each of the motorized window and skylight shades are controlled with a Control4 automation system, and the shades are concealed beneath a cornice manufactured with the same solar screen material used to make the shades. 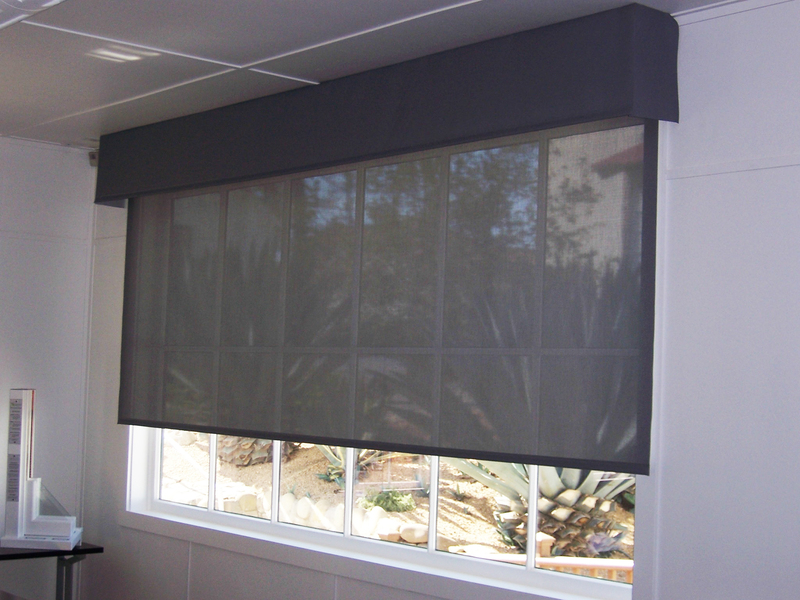 The unique twill screen material displaces individual yarn to create a two-sided material that displays a lighter color to the ambient side of the shade for improved solar performance and thermal efficiency. 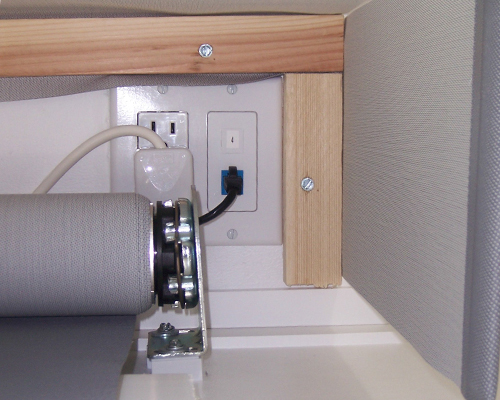 The darker color to the inside improves the view and reduces obstruction. These automated shades are an integral part of a well thought-out, whole building, energy conserving design employed by the SBCA in their new Built Green Santa Barbara headquarters.